Over the past few months, Mazda has been teasing us with images and video of what seems to be a new sedan. 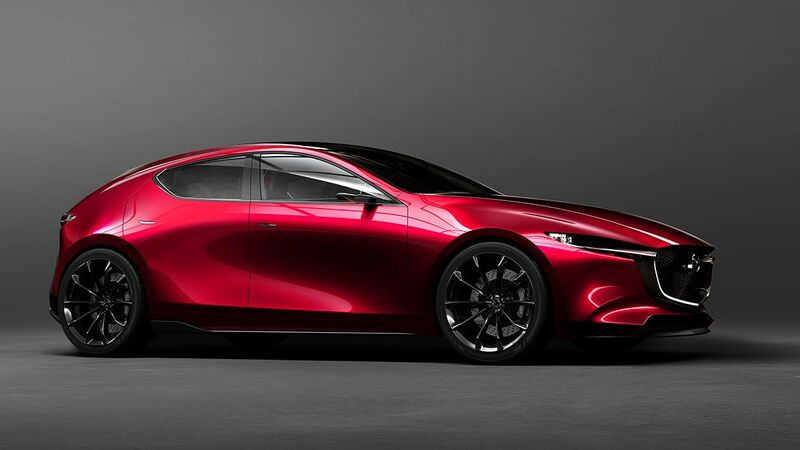 True enough, the company has revealed that it will introduce the next-generation Mazda3, set for a full unveiling at this year’s Los Angeles Auto Show at the end of November. A quick look at the photos and some video clips hints at a more mature interpretation of the marque’s vaunted Kodo Soul of Motion design language. Some have even said that it takes its cue from the Kai Concept that was first seen at last year’s Tokyo Motor Show. Whatever the case may be, one thing is certain: this will be the boldest compact sedan and hatch to date. It’s both modern and stylish, nothing like what others are churning out as of late. Styling aside, Mazda is most excited about what lies underneath the sheet metal. The new SkyActiv architecture, for instance, not only promises more space in the cabin but likewise a more rigid body structure. This translates to improved driving dynamics and ride quality, which should elevate even further the already good handing of the current generation Mazda3. Another highlight of the new Mazda3 is the SkyActiv-X engine. Mazda says that this mill uses pseudo compression, which simply means that it can deliver the economy and torque of a diesel while still maintaining the high power output of a gasoline mill. It promises to be the best of both worlds. Unfortunately, that’s all we can tell you at this time. Rest assured, however, that we’ll give you all the juicy bits once the new Mazda3 debuts in LA later this month.